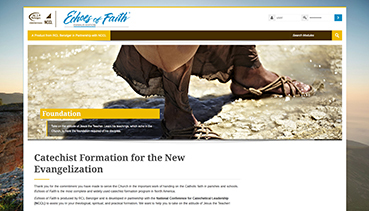 Interested in trying our NEW Echoes of Faith, Emmaus Edition? Simply fill out the information below and you will receive a complimentary 30 day license to the Theology module. When you submit your information, you will receive an email with your username and password.